Health Canada is in the process of revising its food guidelines for 2019. Some inside sources say there is not that much difference with this year's Canada Health food guidelines than previous years, except that overall it leans more toward a plant-based diet. Its final draft hasn't been published yet. Much like USDA nutritional guidelines, "healthy eating" is defined by avoiding saturated fats and emphasizing grains and carbohydrates. 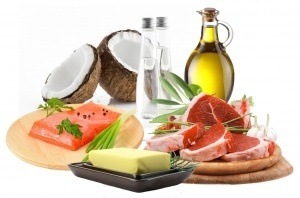 A group of physicians and nutritionists known as the Canadian Clinicians for Therapeutic Nutrition have opposed the Canadian government dietary advice and published their own opinions on the matter in the Calgary Herald citing the nutritional validity of healthy fats which can include meats and dairy, as they take a "whole foods" approach to eating rather than processed foods, promoting more of a high-fat and low-carb dietary approach. They represent a growing group of doctors and nutritionists who are more concerned about their patients' health than they are about being politically correct about diet and nutrition: "We have read the opinion article titled “Health Canada’s new Food Guide is on the right track” with interest. We represent a growing number of Canadian physicians and health professionals, called the Canadian Clinicians for Therapeutic Nutrition, who use whole-food nutritional strategies, which often include meat, eggs and dairy, to prevent and often put into remission the burden of chronic non-communicable disease in our patients. This usually involves lower levels of carbohydrates and higher levels of natural fats than is currently recommended, a therapeutic nutritional strategy well supported in the literature."